Cats In New York Infected For the First Time With Rare Bird Flu : Shots - Health News One veterinarian at a shelter in New York has become infected with a rare bird flu that infected dozens of cats there. The vet had only mild illness and recovered, as have all but one of the cats. New York City health department officials and the Centers for Disease Control and Prevention announced Thursday that a veterinarian who was in close contact with sick cats at a Manhattan animal shelter appears to have caught a rare form of bird flu from the cats. If confirmed, this will be the first case of cat to human transmission of the flu. The veterinarian experienced mild symptoms and recovered quickly. The health department says the risk to humans remains low. A rare strain of bird flu has infected at least 45 cats in a Manhattan animal shelter, according to the New York City Department of Health and Mental Hygiene. It's the first time that this strain, which a University of Wisconsin lab identified as H7N2 and is found in birds, has jumped into cats. "Every time a virus adapts in a new animal, like a bird to a cat, we get concerned about the health of the cats and the humans who care for those cats," says Dr. Jay Varma, deputy commissioner for disease control with the city's health department. The department sent an alert about the outbreak at the Animal Care Shelter on Thursday. Big influenza pandemics start out with a strain hopping from one animal into humans, Varma says. In 2009, the big H1N1 flu pandemic started with the virus going from a pig to humans, which is why it's called swine flu. But the precursor to that, Varma says, is probably an event like this, where the virus jumps from one animal to another. This isn't the first time cats have come down with the flu, but all the previous times have involved highly virulent strains. Cats got sick from the bird flu pandemic of over a decade ago. A few years after that, during the swine flu pandemic, cats also caught the H1N1 virus. "There was a cat in Iowa, a cheetah in California, and a few cats in a shelter in Italy, I think," says Bruno Chomel, a professor of zoonosis at the school of veterinary medicine at the University of California, Davis. In those cases, once the virus leapt into cats, it seemed to stay in cats. There was "no proof of cat-to-human transmission," Chomel says. So far, this new kitty flu doesn't seem to be any different. All the dogs in the Manhattan shelter tested negative for influenza, and none of the volunteers or animal handlers seem to have gotten sick from this virus yet, either. "The guess would be if highly virulent avian strains are unlikely to transmit from cat to human, low pathogenic strains [like this] are even less likely to transmit from cat to humans," Chomel says. Where the kitty flu came from or how it slipped into the shelter is unclear. "We have a suspicion of the initial cat that likely introduced this," Varma says. It was an older cat, 12 in human years, that was already a little frail. How that cat got sick is a mystery. It could have become infected from another cat it met as a stray, or it could have eaten an infected pigeon. "Unfortunately, it initially developed mild illness and progressed to pneumonia and eventually was euthanized because the illness was so severe," Varma says. "It was the humane thing to do." But the other sick cats seem like they're doing OK, Varma says. Their symptoms are unpleasant but run-of-the-mill flu signs: lip smacking, persistent cough, runny nose and fever. Many of them already seem to be recovering from the illness. Still, the Health Department and Animal Care Center are taking some extra precautions. Sick cats are being separated from healthy ones, and a sign posted on the door at the center requests that people with cats wait in the foyer. "H7N2 virus has been spreading from cat to cat. There is no evidence at this time that it is causing human disease, and the risk of H7N2 virus spreading from a cat to a person is thought to be low. However, do not allow your sick animal to kiss or lick your face, and it is advisable not to cuddle with your cat if it has a flu-like illness. These precautions are even more important for persons with compromised immune systems, such as those who are being treated for cancer, or who have other chronic health conditions such as diabetes, heart disease, liver disease or kidney disease." Now the health department is waiting to see whether any humans who have been in close contact with the cats get sick. 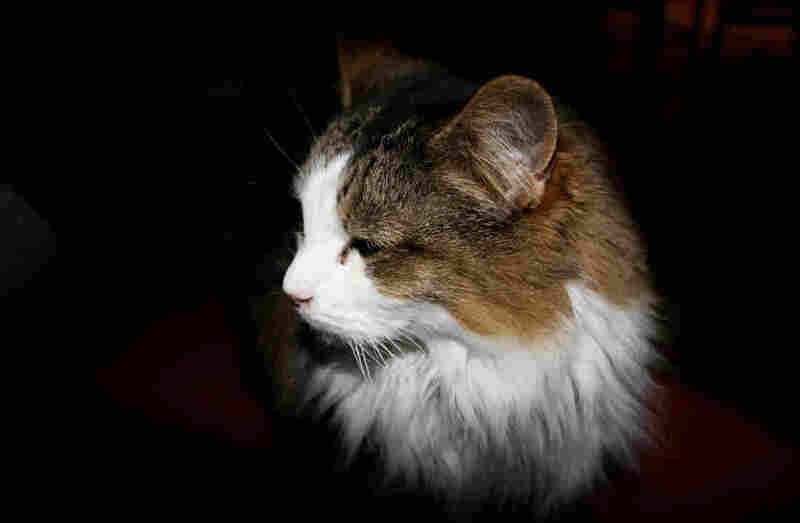 That includes people who have adopted cats from the Manhattan Animal Care Center after Nov. 12, which officials believe is the earliest date the virus could have entered the shelter. Freelance science writer Angus Chen is on Twitter @angrchen.